All of our waste meat and food dyes comply with various regulations including: the Fresh Meat (Sterilisation and Staining) Regulations 1982, the Fresh Meat (Hygiene and Inspection) Regulations 1995, the Animal By-Products Order 1999, as well as various other regulations in the meat and poultry industries. 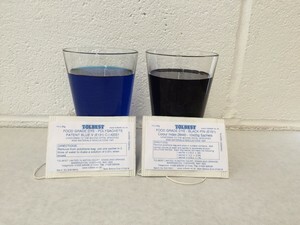 PATENT BLUE V (E131) Colour Index 42051 (CAT 1). 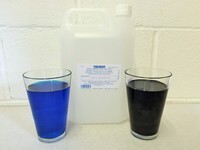 This colour is used for Specified Bovine Offal (SBO) and should be used in a 0.5% solution. Each 25g sachet makes 5 litres of 0.5% solution. Black P/N is for all Cat 2 unfit and condemned food waste in both poultry, red meat and general food industries. 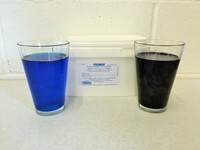 The recommended dilution for this product is between 1% and 2.5% solution, dependent on the product being stained. Each 25g sachet makes 2.5 litres of of 1% solution.